For a thoughtful present this Christmas, why not give the gift of a good night’s sleep? Some people won’t stay overnight with friends or travel abroad without their own pillow; even Wayne Rooney travels with his own pillow! ** The perfect sleep companion is a pillow that helps you nod off peacefully, enabling you to wake without aches and pains. A good pillow should be at the top of your list for healthy and restful sleep. “Poor sleeping posture is often a direct cause of neck pain, particularly in individuals that wake up in the morning with neck stiffness and pain. Correct neutral spinal alignment is essential at night time to maintain healthy joints and soft tissue structures. Incorrect posture is often caused by using a pillow that forces your neck away from this midline position, either forwards (usually from a pillow that is too high) or backwards (from inadequate support or lack of pillow). Lying on your tummy where your neck is twisted excessively to one side should also be avoided. The Fine Bedding Company is a family owned business that has produced filled duvets and pillows for four generations. So this year give the gift of a good night’s sleep to your friends and family with a pillow from The Fine Bedding Company. In-Store: Leekes, Oldrids, Beales, Fenwicks,Goulds. Visit www.finebedding.co.uk for further information. The Fine Bedding Company brand is owned by Trendsetter Limited, a family owned business that has produced filled duvets and pillows for four generations. 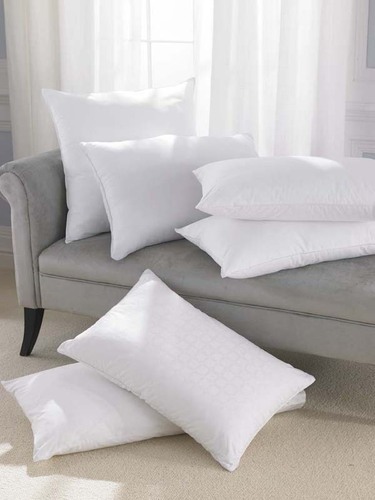 The Fine Bedding Company brand is known and trusted nationally by retailers. Now ten years old, shoppers associate The Fine Bedding Company with product excellence and its brand recognition is continuing to grow as it expands its national in-store presence. Its range includes Perfect Balance, Spundown and Anti-Allergy and includes pillows, duvets, mattress toppers and protectors. This press release was distributed by ResponseSource Press Release Wire on behalf of Minx PR in the following categories: Health, Home & Garden, for more information visit https://pressreleasewire.responsesource.com/about. Memory Foam Pillows by Fine Bedding Co.